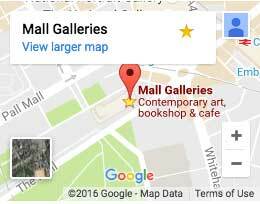 Mall Galleries offers three exhibition spaces, available to hire for art exhibitions, art fairs, and events. Our exhibition programme is scheduled approximately 6 – 18 months in advance. To make an initial enquiry, exhibitors are required to complete an online form below. Following communication with the Exhibitions and Events Department, a standard template must then be completed before submitting any exhibition proposal. This is available on request. An initial assessment will take place by the Exhibitions and Events Department and Gallery Director. Exhibition proposals that meet the exhibition objectives and quality criteria expected of Mall Galleries are then passed to the Exhibitions Committee for detailed review. The Exhibitions Committee meets up to four times a year and is responsible for discussing and vetting all exhibition proposals in further detail. The Head of Exhibitions and Events will convey the results of this review to all successful and unsuccessful proposals. Due to the high volume of proposals received by Mall Galleries, highly detailed responses are not always available.